Contact us for more information of how to help supervisors increase production and profits in ways that reduce accidents as well as employee turnover. The supervisor's primary mission is to maintain the flow of production or services at a level that allows the company to generate maximum production and profits. While the supervisor/employee relationship may be one of the most critical for optimal production, many entry-level managers have had limited training. Safety programs and other services designed to help frequently create "secondary" missions and actually add interference. Faced with growing responsibilities, many supervisors accept the lesser of two evils; reprimanded for safety or fired for lack of production. Supervisors are the direct link to employees. Promoting communication at this level can identify the most efficient methods of production. Sustainable safety programs need to focuses on helping supervisors promote communication that leads to the elimination of interference that keeps them from producing at an optimal rate. Our services can help them take advantage of the knowledge of all employees, and share those skills with existing as well as new employees. This allows supervisors to collaborate with HR to develop training programs that increase production, by increasing employee involvement in ways that identify methods avoid upset conditions san outcome. 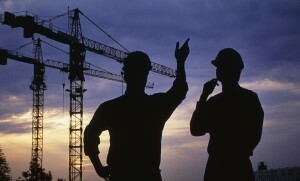 Safety Committees, which frequently lack direction and focus, can become one of the supervisor's greatest assets. Properly structured, the Safety Committees can become a stepping-stone to advancement rather than another barrier to production.